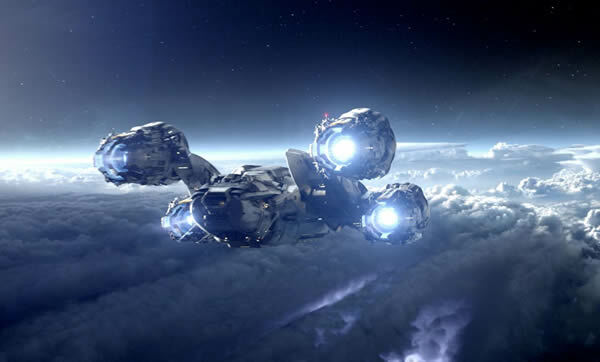 Why I think that Prometheus is the most important film of the year. Right, let’s get this out of the way – this is not a post talking about whether Prometheus is a bad film (it’s not) or whether it fails the Alien franchise (it doesn’t because it’s not really part of it – same universe, different story; kind of like Out of Sight and Jackie Brown. I digress.) This post is for me to try and explain why I think that Prometheus is the most IMPORTANT film of this year. Not the best, the most important. But then we have Prometheus. It’s a film that sticks to its guns, doesn’t rely on boombastic action scenes every few minutes to hold the audiences attention, and tries to do something a bit different. All the things director Ridley Scott was doing back in ’79 with Alien, the film Prometheus is a spiritual prequel to. It also has an interesting writer in the form of Damon Lindelof who came in to tweak the screenplay from being a straight up Alien prequel to the film we now have. Lindelof was a writer on the mindbending TV program Lost. Personally I find him to be a very clever writer, someone who can tell a story while hinting at a wider world that we never really find out about. There’s no magic Basil Exposition’s in his scripts – if something’s a mystery to our characters then it’s likely to be a mystery to the viewers too, even though we’ll be given visual clues as to what the purpose or reason for this thing might be. I get why people don’t like that, but it gets us talking, discussing theories, explaining things to those who were too busy texting or looking into their popcorn when something important happened onscreen. Prometheus doesn’t hold the viewers hand. It doesn’t give them a reason for everything that happens. It doesn’t tie things up in a nice bow. It asks the audience to be adults, pay attention, watch, listen, enjoy the film and take something away. It presents a prequel that isn’t really a prequel per say (were people mardy that they didn’t get that perfect prequel? Perhaps Ridley Scott’s right – the Xenomorph from Alien has had his time). We can argue pacing, acting, continuity with the “other films” in the series til the cows come home, but what Prometheus did was something pretty ballsy for a film that was pitched and advertised as a summer tentpole. It could have been sanitised by the studio, crafted into a straight up new Alien movie – but it wasn’t, and what we got was something infinitely more interesting. We need more films like this in our cinemas, attracting a bigger mainstream crowd and presenting them with something they perhaps weren’t expecting. Let’s not make Films the niche to Movies. That’s why I think Prometheus is the most important film of the year. Not the best film of the year; but certainly the most important.